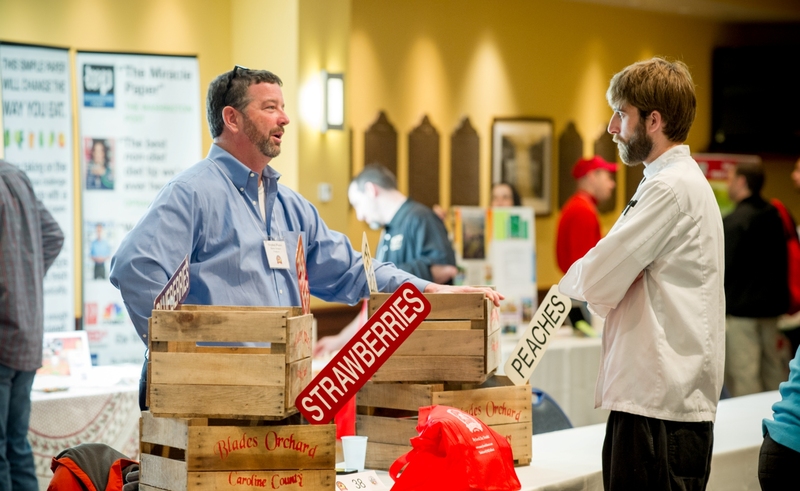 The Maryland Department of Agriculture’s annual Maryland’s Best Expo will be held on January 23, 2019 from 10am – 2pm at the Navy-Marine Corps Memorial Stadium in the Banquet Room in Annapolis, MD.The meeting is designed for Maryland growers, producers, and processors interested in selling their products to buyers from grocery stores, restaurants, hospitals, schools and other venues. A service provider in agriculture and local food such as a county extension agent, food writer, etc. Registration for the 2019 Maryland’s Best Expo has been closed. Any additional attendees can register at the entrance of the expo. Please pull in gate 5 off of Taylor Ave. and park near Gate C or D. To get to the banquet room enter the stadium at Gate C. Parking will be $5.